Unless you have booked a package holiday to Lloret de Mar which will come with airport transfers included, then you will need to figure out how to get from the nearby airports to the town. This page gives all the various transfer options including prices and rates for options such as rail, bus, taxi, shuttle service and mini-bus. 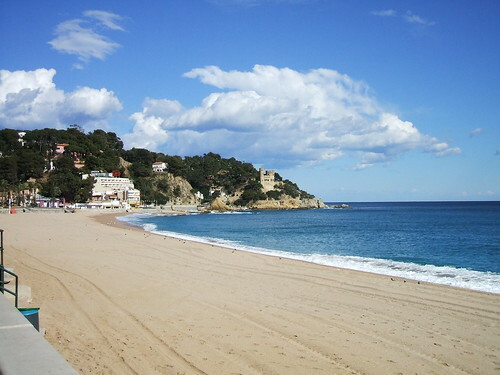 Lloret de Mar is one of the most popular sea side resorts on the Costa Brava in Spain coming second only to Barcelona. Lloret de Mar is a family friendly resort and also attracts a lot of the 18-30 age group as well who come to party in the resort and even come to Lloret de Mar for their hen and stag weekends. Lloret de Mar is less than two hours away by plane from most United Kingdom international airports and one can choose to fly into either Girona Airport or Barcelona Airport. Girona Airport is the nearest airport to Lloret de Mar and is thirty kilometres away with a travel time of approximately thirty five minutes. Having arrived at Girona airport how do you get to Lloret de Mar and how do you find the cheapest way of getting to your Lloret de Mar accommodation from Alicante Airport? There is a regular bus service operating from Girona Airport to Lloret de Mar and the surrounding sea side resorts of Santa Susanna, Tossa de Mar, Blanes, Malgrat de Mar, Calella and Pineda de Mar. One can book a single ticket for 12 Euros or 18 Euros return and the ticket is valid for thirty days. A limousine can be booked from 75 Euros which includes champagne and an airport transfer for up to eight people. A shuttle service from Girona Airport can be booked with Shuttle Direct from £9.12 per person one way. A private transfer would cost £25.48 per person one way. There is also a regular rail service from Girona Airport to Blanes nearby and the journey time is a daunting two hours and one then would have to catch the bus from Blanes to Lloret de Mar. A taxi fare from Girona Airport to Lloret de Mar would cost approximately 46 Euros. Taxis have the advantage that you can jump in one immediately outside the airport terminal and it will take you directly to your chosen accommodation. Some other transfer options such as shuttle buses often will take other passengers and stop along the way. Barcelona Airport is the second busiest airport in Spain after Madrid and is located ninety four kilometres away from the resort. The driving time from Barcelona Airport to Lloret de Mar is approximately eighty minutes depending on the traffic. All the major carriers fly into Barcelona on a daily basis including British Airways, Monarch, Alitalia, Easyjet and Ryan Air from most international Airports in the United Kingdom. The easiest way to access Lloret de Mar from Barcelona Airport is to book a transfer. One can book a shuttle transfer with Shuttle direct from £10.99 per person one way or a private transfer from £34.05 one way. By rail the easiest way to get to Lloret de Mar is to take a train into the Barcelona city centre and then connect with a train to Blanes and then catch a bus from Blanes to Lloret de Mar. The train station at Barcelona Airport is located outside to Terminal 2, and the journey time takes about twenty five minutes. There are two services an hour from Barcelona Airport to the Passeig de Gracia. From there one will have to catch the metro to the Arc de Triomf and take the train to Blanes. The journey time by train from Barcelona to Lloret de Mar takes an hour and fifteen minutes, and there are two train services every hour. There are no direct bus or coach services from Barcelona Airport to Lloret de Mar either so here again one would catch the bus into the city centre and connect to a coach service to Lloret de Mar. Coaches from Barcelona Airport to Lloret de Mar run seven times a day and the journey time is roughly an hour. A taxi fare from Barcelona Airport to Lloret de Mar would cost approximately 106 Euros. The easiest way from Barcelona Airport is to catch a taxi or book a transfer, it takes much longer by rail or coach and involves much getting on and off the train and bus which can prove difficult with children and luggage. Arranging a transfer from Girona Airport comes with far less complications. Hiring a car from Girona airport or Barcelona airport to get you to Lloret de Mar is a practical and cost-effective way of also exploring the fantastic Costa Brava area of Spain. Car hire is cheap and it also gets you to the resort. So even if you don´t intend on taking too many days out it could still be a very good option. 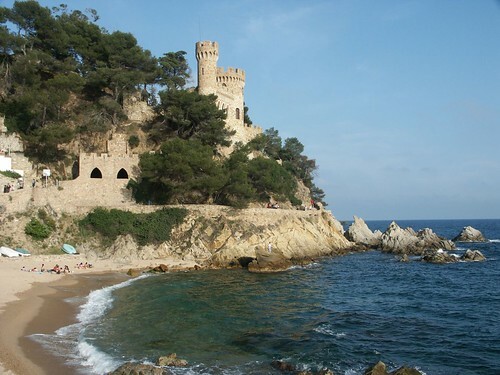 Lloret de Mar is very much a compact beach resort with usually plenty of Lloret de Mar bars, restaurants and beaches within walking distance, so unless you want to go on a number of excursions you probably don’t need to consider taking out Lloret de Mar car hire. Page Summary: This page gives all the various transfer options for getting to Lloret de Mar from either Girona or Barcelona, including prices and rates for options such as rail, bus, taxi, shuttle service and mini-buses.